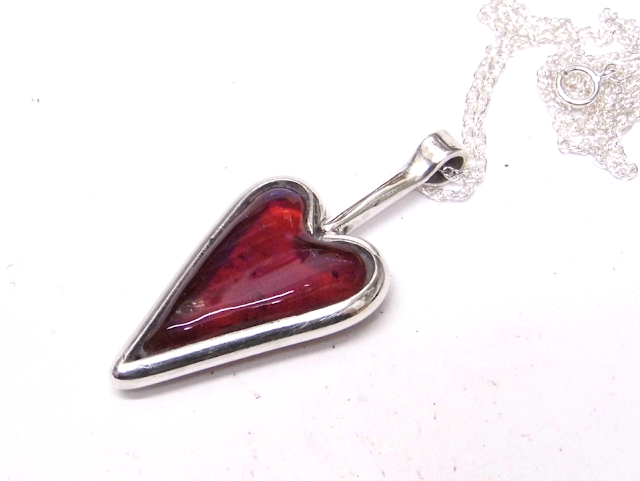 Home › News › Sterling silver surround pendant with irrid glass heart. 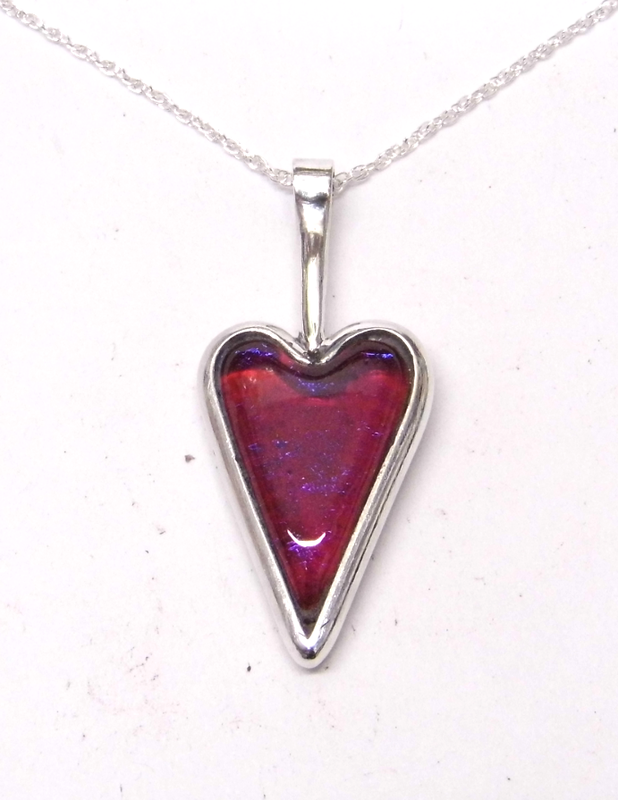 Sterling silver surround pendant with irrid glass heart. Hi. Here is my latest sterling silver surround pendant. The glass used is red iridesent with a clear top glass. 925 silver surround tactile dichroic glass pendant. Making the heart shape pendant. New look, Craft Fair display stands. New sterling silver and dichroic design pendant.